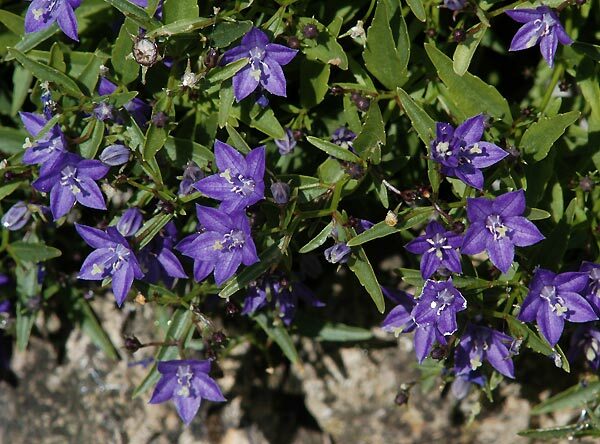 Campanula waldsteiniana - This is a delightful small species from rocky crevices in the mountains of Dalmatia. I cultivate it in a trough in full sun. Hardy and summer flowering!